We’re coming out of the deep freeze. 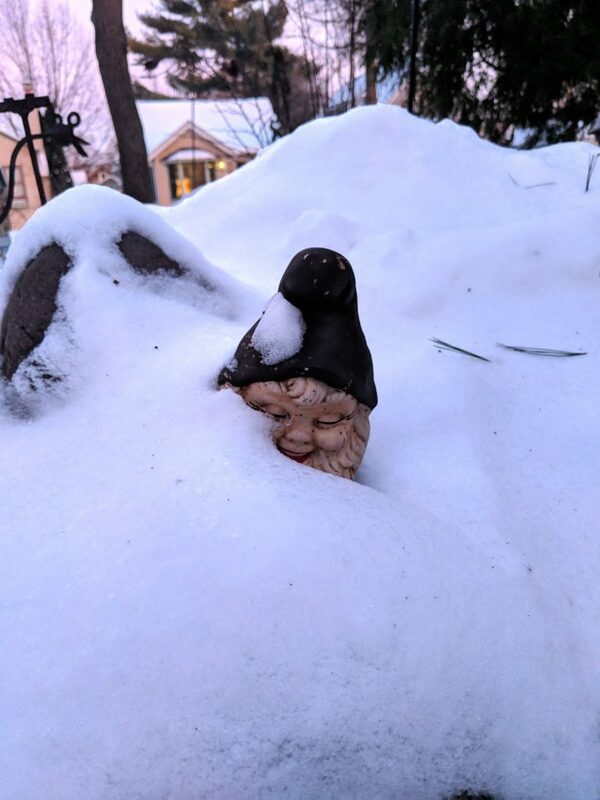 And the little gnome is peeking out to say hello. Amazing that during our record breaking cold, we were colder than Antarctica, Siberia and of course G’Nome, Alaska!